LEXINGTON Research is an essential scientific tool to evaluate the latest, most advanced therapeutic and diagnostic methods. Because heart disease is so prevalent in central and southeastern Kentucky, the Lexington Cardiac Research Foundation (LCRF) at Central Baptist Hospital (CBH) plays a significant role in the development of new cardiovascular (CV) treatments. While it is unusual for a non-academic hospital to conduct research, LCRF performs cardiovascular research at a high level. As a result, your patients have access to leading-edge treatments they would otherwise have to travel long distances to receive from academic medical venues. The Unify Quadra™ cardiac resynchronization therapy (CRT) defibrillator and Quartet™ Left Ventricular Quadripolar Pacing Lead is an example of this type of treatment. It is the latest in cardiac pacing technology. CRT devices are designed to optimize the heart’s pumping function and help the heart perform in its most natural state by synchronizing the left and right ventricles of the heart though timed electrical impulses. 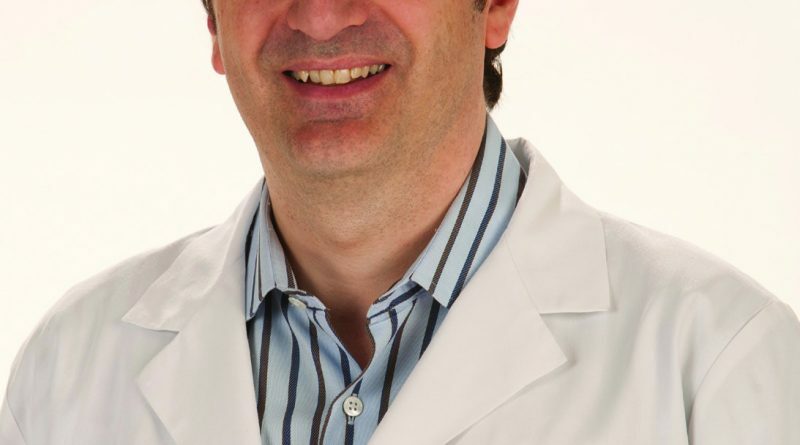 The Quartet lead help solves some of the present day problems both during and following the CRT implant procedure. This is accomplished by the presence of four electrodes on a single lead instead of the current industry standard of two electrodes. The additional electrodes provide more ways for a physician to configure an optimal pacing strategy. Having four electrodes provides more options to effectively regulate the patient’s heartbeat. Due to differences in patient anatomy or results that can’t be foreseen during the procedure, complications can arise after placing the lead. One example of a pacing complication is a high pacing threshold. Patients who already have scar tissue formed in the heart may require very high energy delivery from their CRT device in order to capture the left ventricle. The higher energy demands shorten the lifespan of the battery. A second complication is the unintentional stimulation of the diaphragm or the heart’s phrenic nerve. Phrenic nerve stimulation (PNS) can result in significant pain to the patient. Unfortunately, approximately 10 percent of patients experience pacing-related lead complications with 5 percent requiring a second surgical procedure. The Quartet lead can help avoid these complications and reduce the need for reoperation by providing additional pacing configurations. Therefore, patients receiving the device can feel more confident that their procedure will be successful. This pacing system is expected to become an industry standard as a result of its ability to reduce the impact of these complications because of the health and economic benefits it can provide. The Watchman® device trial is another example of a new CV treatment. Stroke is a complicating factor for patients with atrial fibrillation (AF), an abnormal heart rhythm. Most strokes associated with AF are thought to be due to migration of blood clots that form in the left atrial appendage (LAA). When the atrium loses its ability to contract, blood pools in the appendage, providing an environment to clot. These clots can dislodge and migrate through the bloodstream up to the brain causing a stroke. The Watchman device is a mechanical based solution designed to close off the LAA. The device is introduced into the heart via a flexible tube (catheter) through a vein in the groin. It is designed to seal off the LAA thus reducing the risk of stroke and eliminating the use of blood thinning medications such as warfarin. The results of a randomized study comparing the Watchman device to long term warfarin therapy (PROTECT AF) were published in The Lancet in August 2009 and Circulation in January 2011. The study found in over 1065 patient years of follow up that the combined rate of stroke and cardiovascular death was 3.0 per 100 patient years in the device group vs 4.9 per 100 patient years in the warfarin group, resulting in a reduction of 38% in the Watchman group. As for safety of the device, as expected with a device vs drug trial, there was an up front risk associated with the procedure (7.4 vs 4.4 per 100 patient years with a relative risk of 1.69 for the device patients). Central Baptist was a site in the PROTECT AF trial and is currently participating in the second confirmatory PREVAIL Study. 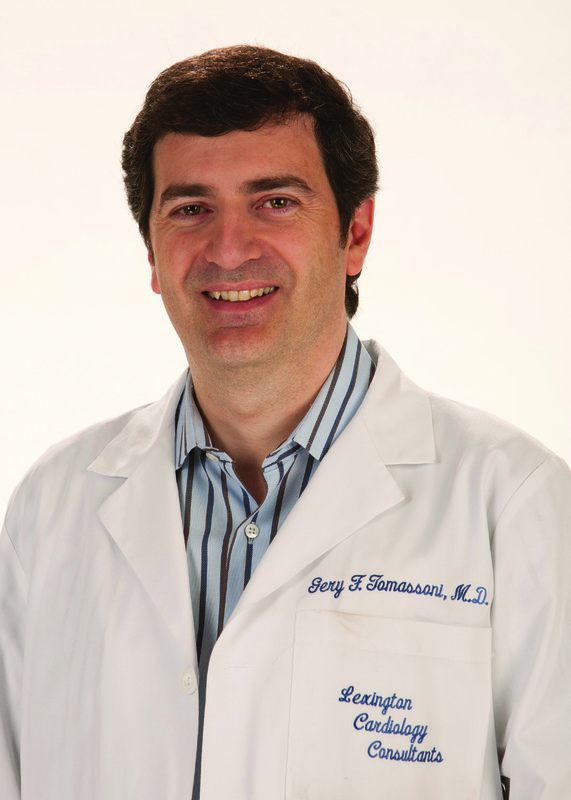 Dr. Gery Tomassoni is medical director of Lexington Cardiac Research Foundation. If you are interested in a study for one of your patients, contact LCRF at (859) 260-4489.